It’s an exciting week at SIRIN LABS! 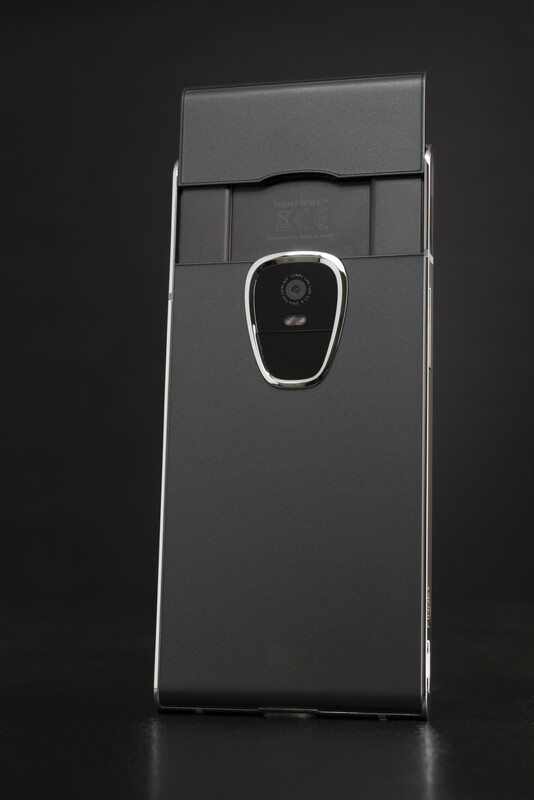 We just unveiled the final design for the FINNEY™ blockchain smartphone to the world! Our whole team is extremely proud of the unique, stylish, and sleek design, and we were so happy to finally be able to share the details with the community and beyond. While designing the FINNEY™, our team kept a close eye on maintaining a strong balance between fashion and function, and while the aesthetic is clear from the images, it’s worthwhile to also touch upon the purpose of some of the design points. The shield element was a main design feature from our first phone the SOLARIN™. While it has a stylish and sleek look, since it houses the fingerprint scanner, it’s also strategically located for easy access, whether users want to get into their phone, or access their wallet. Additionally, because there is a slight lip surrounding the Shield Element, it also provides a tactile landmark which makes finding it with just a touch a very easy task. This means that there is no need to be constantly flipping the phone over to find the scanner, all users need to do, whether they’re left handed or right handed, is hold the phone and use their index finger to quickly find the scanner and unlock the device. The slider is another design feature which brings an additional level of purpose to the FINNEY™ design. We wanted to be able to provide users with a secure display, which operated in separate firmware to prevent it from being corrupted by hackers or malware, but didn’t want to compromise on other features. Putting the Safe Screen on the main body of the device itself would force us to either elongate the body or use a smaller screen. Neither of those options seemed workable. We also considered the possibility of using a slider on the bottom, similar to some pull-out keyboards which have been used in the past, but upon further consideration, realized that it did not provide the same ease-of-use as it does on the top. By using the slider on the top of the phone our design team has certainly created a unique look to the FINNEY™, but has also improved on the user experience and simplicity for making crypto payments from your phone. The Safe Screen, is what we’re calling the display located on the slider. It’s called the Safe Screen because, as mentioned earlier, it functions on dedicated firmware that the SIRIN OS™ does not have access to. This creates a figurative bubble around operations and transactions that are conducted through this screen and allows users to be able to independently verify that the FINNEY™ wallet transactions are being sent to the correct address. FINNEY™ users will be able to reference data on the Safe Screen in order to aid the user to authenticate that they are not being tricked by malware or hackers to send their crypto to a fraudulent third party.